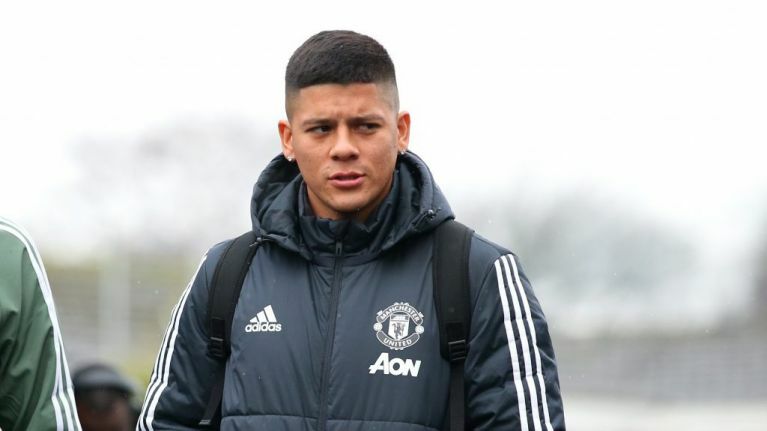 Marcos Rojo returns to the Manchester United starting XI for the first time since May for their clash with Arsenal at Old Trafford tonight. United's defensive injuries has forced José Mourinho to throw Rojo straight back in to the side after a long lay-off, as he partners Chris Smalling and Eric Bailly, who is also making his first appearance since early October, in a three-man defence. Mourinho's team selection against Southampton provoked a lot of complaints, with five natural central midfielders on the pitch and no wingers to stretch the pitch. Tonight, United line up in a 3-4-3 formation, with Matteo Darmian and Diogo Dalot start as wing-backs. Jesse Lingard, Anthony Martial and Marcus Rashford line up in a fluid front 3, with Romelu Lukaku dropping to the bench. Arsenal make two changes to their team after the north London derby, with Granit Xhaka and Henrikh Mkhitaryan being replaced by Mateo Guendouzi and Aaron Ramsey.